Spitbraai hire in Cape Town for any function! We cater for all areas of Western Cape but our main area is Cape Town Northern Suburbs. Our spitbraai's are easy to use gas for heat and electrical rotisserie. Hire a spitbraai for inside your home or outside the venue. No smoke only excellent mouthwatering aromas! Coming Home, Social, Baby Shower, Bachelors, Bachelorettes, Year end function, Christmas and New Year’s. Brackenfell, Durbanville, Kuilsrivier, Kraaifontein, Bellville, Plattekloof, Parrow, Goodwood, Milnerton and Table View. Clients in Stellenbosch, Paarl Wellington, Somerset West areas also use us on a regular basis. HMSpitbraai has a team with over 20 years of catering experience internationaly across 4 continents. 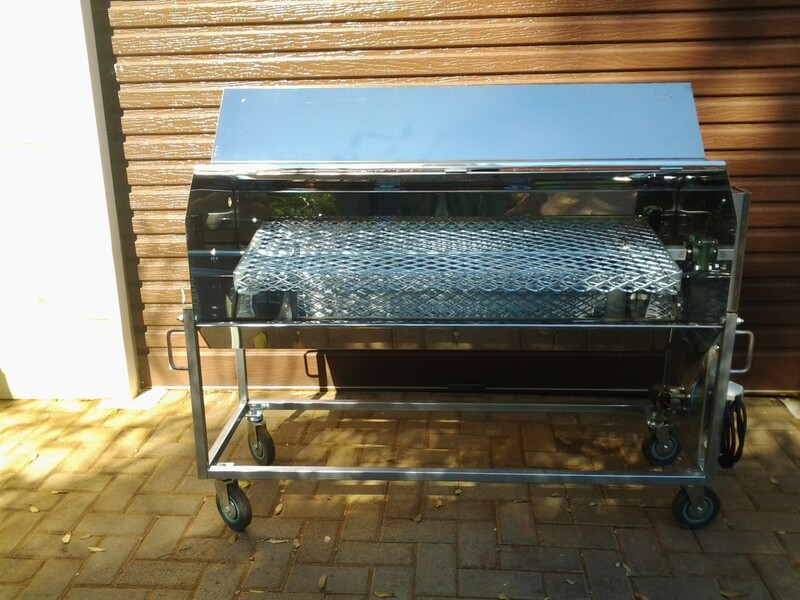 Large spit braai for hire can spit up to 25kg. Free delivery 30km round trip from Brackenfell Cape Town. .Large lamb takes 3 hours to cook. Chef and full catering service can also be arranged. Hiring a spitbraai should not be a struggle. Year end function, Christmas and New Year’s.